Josh Alcock is a junior at Penn State and President of the Penn State Bowling Team. He’s been hitting the boards since 8th grade when his grandmother sparked an interest in her bowling hobby and he discovered his neighbor owneed a bowling alley down the road. He played basketball and football too, but when his short height became an issue, bowling became the best way to compete. Being the head of the Penn State Bowling team is something Josh says he takes a lot of pride in. Even thought they spend most their time together at Northland Bowl in State College, the tight knit group of 15 bowlers share a lot of their time together both on and off the lanes. He feels the team doesn't take anything too seriously and they're all just out there to have fun, which he feels is the most important thing. Alcock says he thinks that bowling is one of the most mentally challenging games to engage in — and this is why he enjoys it so much. There is so much more than just throwing a ball down a lane. Constantly learning new techniques and ways to throw the ball are the ways he is continually changing his game. He doesn’t see himself stopping after college, hoping to join and league but also doesn’t see himself ever competing for any big titles. It’s something he will continue to do as a hobby and do for fun. While Alcock is committed to the bowling team, he’s also one of the biggest sports fans here on campus. 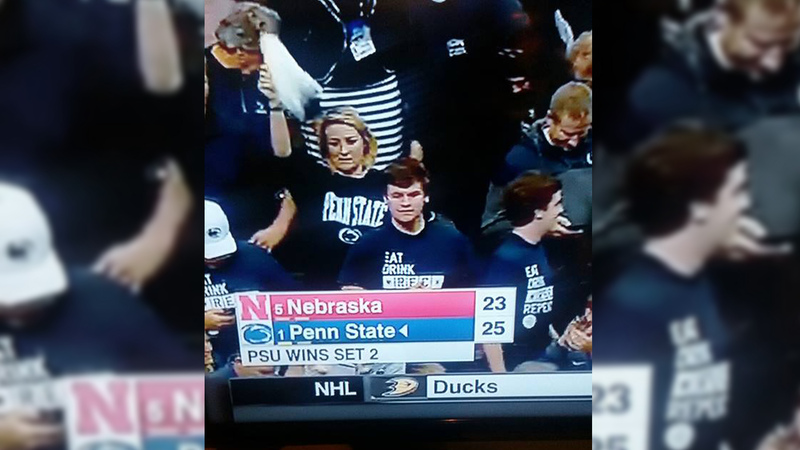 He claims to have attended at least one game of every single varsity sport at Penn State. He says he loves to be involved and support his fellow Lions. I have worked as a marketing intern with Essent Guaranty. Recently I’ve been working on digital marketing and social media, which is the career I would like to pursue.